James Watt is featured on the largest silver medal coin in the World – the 2008 Europe Taler. Watt represents the industrialisation of Europe and the age of technical innovation. James Watt was an inventor and mechanical engineer whose improvements in steam engine technology drove the Industrial Revolution. Watt did not invent the steam engine. Steam engines were already in existence, mainly being used to pump water out of mines. He made important changes to the design, increasing efficiency and making steam engines cheaper to run. James Watt was born in Greenock in 1736. He was not a healthy child and was educated at home for most of his early years. His father was a carpenter and shipwright who set himself up in business as a merchant and ship-owner. Watt liked to make models and repair nautical instruments in his father's workshop. In 1755 Watt went to London to be an apprentice scientific instrument maker. He was a quick learner and mastered his craft in one year. Aged 19 he returned to Glasgow, where he set up his own business. Before long he was recognised as a high-quality engineer, and employed on the Forth and Clyde Canal and the Caledonian Canal. He was also involved in the improvement of harbours and in the deepening of Scottish rivers, including the Forth and the Clyde. 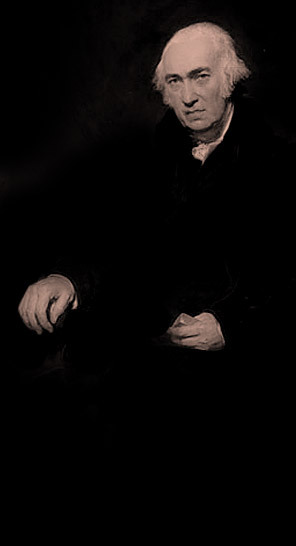 In the late 1750s, Watt met Joseph Black, who then was Professor of Chemistry at Glasgow University. The men became friends, and Watt provided model engines for Black to use in his lectures on the properties of heat. One Sunday in 1765, Watt was struck by the idea that was to spark the Industrial Revolution. Walking in a park near the Clyde, he suddenly he realised how he could make the standard Newcomen steam engine more efficient. He could use a separate chamber to condense steam without cooling the rest of the engine. He patented his steam engine condensing chamber in 1769. In 1774, Watt started a business in Birmingham with investor Matthew Boulton to manufacture his improved steam engine. The Boulton & Watt Company produced steam engines that could be used anywhere, and demand for them was high. Watt and Boulton became leading figures in the Industrial Revolution. Watt continued to make improvements to steam engines, and patented other important inventions, such as the rotary engine and a steam locomotive. His achievements were recognised by fellow scientists. He was a fellow of the Royal Society of Edinburgh and the Royal Society of London, and became a Foreign Associate of the French Academy of Sciences. Watt's first wife, Margaret, died in childbirth in 1773, leaving him with two young children. He married Ann in 1776 and had a son and a daughter, who died of consumption before their father's death. James Watt died in 1819 in Heathfield, near Birmingham, aged 83. 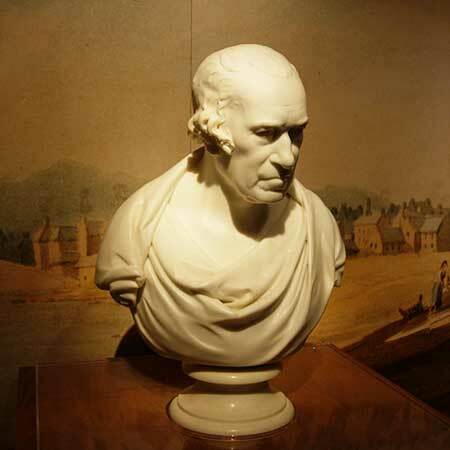 In our public poll, James Watt was voted the eighth most popular Scottish scientist from the past.